Waiting for the taxi on the road and getting late for the office, meetings or conferences and then being scolded by the seniors is a common view. That's why online cab booking system was not less than a bliss for everybody. This new kind of business model has disrupted the conventional taxi hailing system. Entrepreneurs who have invested in taxi aggregator app development are getting huge profit from this business. Statista report says that in 2018 revenue generated in online travel booking sector amounts to US$2,40k m and this amount is expected to reach US$325K m in 2022 worldwide. As per the report, in India alone, the revenue growth rate in this sector is 16.3% and the expected revenue figure will be US$1,10K m in 2022. In big cities, the business owners realize the need of uber clone due to increasing traffic and decreasing parking space. Our top-notch taxi app builder focuses on delivering the best quality taxi app development services which provide ultimate convenience to the customers. 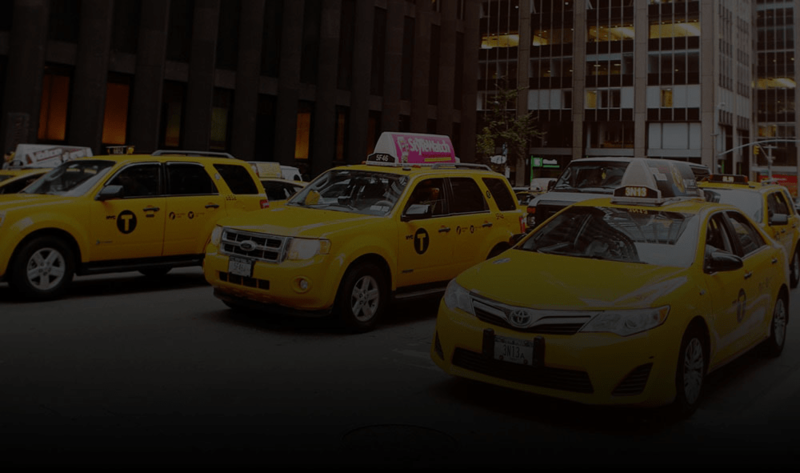 The team of professional taxi booking app builder has maintained the track record of providing the feature-rich taxi booking app development services which are appreciated by the customers worldwide. 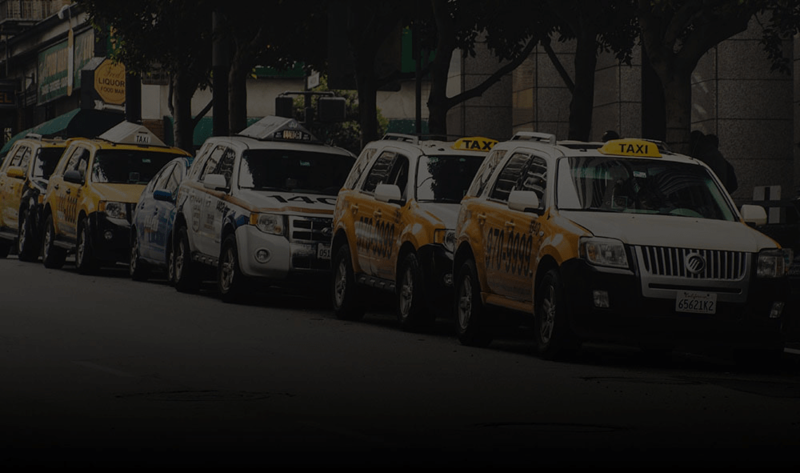 We have readymade custom web and native app solutions which can fulfill every need for taxi booking business app model. We help entrepreneurs and taxi business owners to build their startup and taxi fleet business. Manage your local and global taxi business with a centralized dashboard. Now, you can easily track the revenue from each taxi. Execute your taxi booking operations effectively from the single taxi and satisfy your passengers. Passenger can go through the set of screens presenting the mobile app, its features, and benefits without actually getting started with the app. The passenger can sign up to the taxi software through their email id, contact number and address. They can add their payment preference in the accounts section and add their image in the profile section. The passenger can schedule the arrival time of the cab as per their convenience. In case, their plan of the ride is canceled, they can cancel the booking. The passenger can track the real-time location of the driver until it arrives at their address with google map integration. It enhances their ride experience. Moreover, while requesting for ride they are able to see all drivers in nearby location. The passenger can easily check the ride cost after filling the destination address. It makes the passenger make decisions as per their budget. The passengers get notified of updates regarding the ride status, offers, discounts available on a real-time basis. It enhances the existing users' experience. The passenger can check the ride history along with bills and detail of every past and current ride. The passengers can search for the taxi with different search filters as per their own will. The passenger has the option to save the multiple addresses in address list and can choose any of them during placing request for the ride. The passengers can enhance their riding experience by getting the benefits of discounts and offers offered by the owner. Sometimes some discount vouchers can be redeemed only by new taxi app users. The passenger can share the details of the taxi on messaging apps or social media just by tapping "Share" button. Important information regarding the taxi, pictures, taxi number or driver information can be shared. The customer can receive the digital copy of the invoice on their registered e-mail id or any social media platform after the ride. The customer can check the invoice detail even during the ride. The passenger can pay for the ride through multiple options like online net banking, stripe, Paypal, credit cards, debit cards, PayTm and bitcoins (Blockchain based payment processing system). It makes their riding experience easy and comfortable. The passenger can rate and review their riding experience. A good rating can increase your brand reputation and let the users choose the high rated driver. The passenger can interact directly with the driver once they book a ride and vice versa. It allows the customer to stay updated with the status of the driver on real-time basis. The passenger can share the ride with co-passengers in the city, making their travel cheaper. Admin can manage multiple taxis under a single account. Track your customers, rides at single place. Admin can add or delete any cab from the listing. Admin can effortlessly view and edit the list of operation managers, taxi drivers and other staff members with unique employee id provided to them. They can manage the records of drivers and managers, their salary calculations, attached useful documents and payment details. The admin can edit the list of taxis available along with the price they can charge from the riders. Admin can attract the passengers with a gallery filled with attractive images of the taxi and their riders. They can modify the items in the gallery anytime. With the help of Google maps, admin can track the real-time location of the drivers. They can also check the status whether drivers are active or busy. Admin can view and edit the list of customers connected with the taxi app. They can track the activities of the customer through online cab booking app which helps in faster recovery of issues faced by the customers. Admin can send real-time notifications associated with special events, offers or discounts available to the passengers on their smartphones which helps them to stay engaged with their taxi business. In-app payment gateway integration provides an option to the admin to accept the payment from a debit card, credit card, net banking, PayPal, Stripe, Bitcoins (Blockchain based payment processing system) and Paytm. Admin has the access to view and delete the reviews given by the riders as per their riding experience. Admin can respond to the feedbacks given by the riders. With app integrated business analytics, admin can identify and analyze the problems related to the taxi business and can plan for future accordingly. Mechanics app helps the admin in getting the real-time data of mechanics earnings, their expenses, and numbers of vehicles they repaired. This statistics helps them to get productive results in the business growth. The operation managers can easily add new staff members, managers and drivers by providing them unique employee id in their areas. They have the access to update the daily activities of all members like attendance,expenses, profiles, payment details etc in a panel. The operation managers can easily add, update or delete the facilities or other services as per your wish. They can handle the data involving the price, discount coupons along with the available taxi. The operation manager can track the location of taxi drivers in the particular area with the help of google maps. The operation managers can add, edit, view and manage all the details and other information of potential and new passengers. The operation managers can send notifications related to special offers, loyalty programs, events, discount coupons and promotional activities to the passengers in their assigned area which will help them to retain the customers in long-term. As a manager, they can easily generate insightful reports and analytics graph of their business analytics which can help them to make the decision for future plan.. The operation managers can approve or reject any driver's joining request through the taxi app. They can even suspend any driver for some specific time period in case of their wrong actions. With the help of in-app integrated business analytics, the operation managers can analyze the sales, turnover and growth rate of the business. It can help them to get the actual market view. The operation managers can easily track the daily rides and revenue earned which is helpful in understanding the business growth. Through cab booking app integrated help chat can resolve the queries of drivers and passengers in seconds. Customers can directly interact with operation manager for any query. Through online cab booking app, the drivers can receive the notification from the customer for booking and then they can update their status as a request received. The customers can track the drivers until they reaches at the customer's address. With the google map integrated app, the driver can easily track the exact location of the passenger. They can get live information about passengers movement. The taxi drivers can sign up their account just by registering their name, vehicle information, email, permanent address and contact details. They can update their basic profile information after the registration of an account. Under the carpooling feature, the drivers can approve the request of the customers who have to travel towards the same direction. The drivers can get the complete information about their earnings and transaction history weekly/monthly or yearly. They can check the detailed payment summary like fare, tolls, and cancellation fees etc. Through the taxi app, the drivers can give feedback and ratings to the passengers if any problem arises during the journey because of the passengers. The drivers can submit their queries in the help section if any problem arises to them during the journey.